Former Sky News anchor Jeremy Thompson said he wouldn’t rule out Sky closing its news channel as the price of securing Rupert Murdoch’s £11.7bn take over. 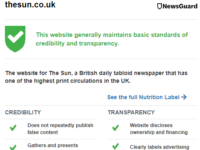 This was the radical solution put forward by the broadcasting giant earlier this month as a way of countering concerns from the Competition and Markets Authority that the deal would give Murdoch too much control over the UK news media. 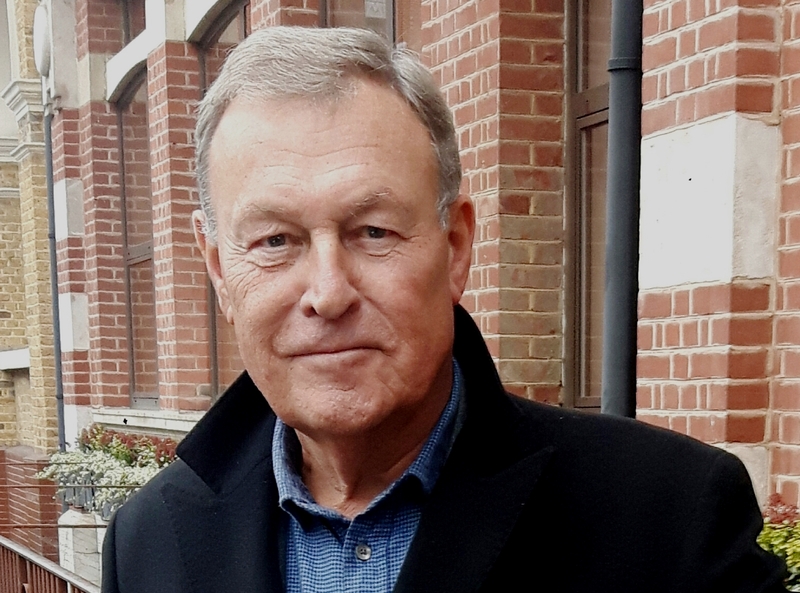 Thompson spoke to Press Gazette as be publishes his autobiography Breaking News which tells the story of his 50-year career in journalism, including 23 years at Sky up until his retirement last year. 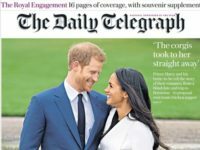 Asked about the threat to close the channel, he told the Press Gazette – Journalism Matters podcast: “I think it’s a very bold negotiating tactic and not much more at the moment, but I wouldn’t rule it out. “If they were to save the rest of the Sky empire and they had to sacrifice Sky News they would because they take bold decisions when big money’s involved. “I believe because Sky News has won a place in the hearts of a percentage of Brits they would be very loath to get rid of it, they still believe in it as part of the portfolio of offerings on Sky. Did if he ever witness Murdoch interference in the way news was covered at Sky? “I’ve met Murdoch a few times…I certainly can’t ever say that he tried to interfere in anything I did or anybody around me did ever. Asked how Sky News changed over the 23 years he was involved, he says: “In recent years the thing that has made the big difference was the phone-hacking scandal…It spread, along with Leveson, a big wet blanket on newsrooms across the country I felt. Thompson fears that this has all led to viewers being given a misleading version of the news. “Genocide in Rwanda, civil war in Somalia and Angola and Mozambique…We saw extraordinary things and we put that on air. “The first Gulf war, the Iraq war the Yugoslav war…People got killed it’s a fact of life. My belief is you shouldn’t keep too much from the public, it becomes a deceit if you’re not careful. “You’re not going to show them the worst of everything. For people to sit at home and watch a war going and not think people died in it is foolish and not us doing our job. But there’s no doubt that broadcasters in Britain and around the world have become far more regulated and squeamish about what they put on air and stuff I would have put on 20 years ago would hit the cutting room floor. “I don’t think that’s treating viewers as grown-ups as they should do. I’ve spent 50 years trying to be fair with viewers and honest with viewers and give them the raw material to make their decisions about what was going on in the world. 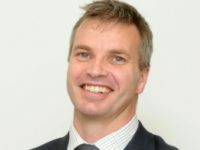 The book covers his career from starting as a trainee on the Cambridge Evening News aged 19 through the years on BBC local radio and then ITN before joining Sky News in 1993 to set up its first South Africa bureau. But it was also the most dangerous. The book relates how AFP cameraman Abdul Shariff was shot and killed just yards away from him. A radio reporter behind him was shot in the arm. Sky cameraman Ian Robbie “filmed the whole, awful incident, with amazing steady focus”. Thompson covered wars all over the world but perhaps most notably to the 2003 US-led invasion of Iraq. It was a conflict where most Western journalists chose to be “embedded” with the British and US military: a system which ensured access to just one side and which meant the military controlled what reporters could see, where they went and who they spoke to. Thompson was one of a few who opted instead to go into Iraq independently. 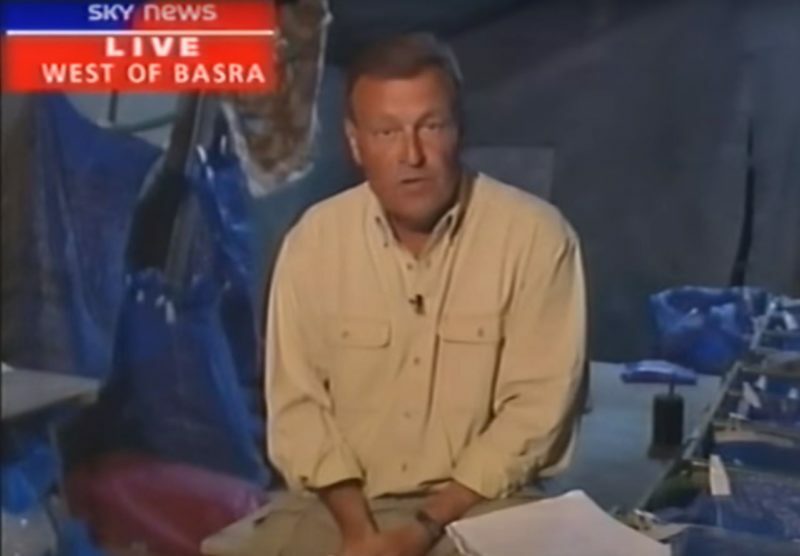 Terry Lloyd from ITN did the same, but whereas Thompson was able to present nightly broadcasts from the frontline for a month and follow the action all the way into Baghdad – Lloyd was killed just days into the invasion. “It shows the strange nature of journalism and the luck and the bad luck. Terry, an old mate from ITN, had flown in on the same flight. We’d had a beer together and we’d both sad we’re getting a bit old for this mate. “We literally went over the border on the same day a few miles apart into southern Iraq near Basra. I turned left with my team he turned right with his. “He drove into a crossfire between the local militias and the American army and just got caught in the middle and killed. We found out that night. Saturday 22 March was also my youngest son’s wedding day. Wasn’t it an incredibly dangerous thing to do? “I had been into those sorts of situations before. 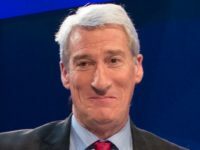 Was he surprised by the level of pay enjoyed by broadcast journalism colleagues at the BBC revealed earlier this year, including 42 journalists paid more than £150,000 a year? “It is the market place. I was surprised what I ended up getting paid but then I started on four guineas a week on the Cambridge News, it was a long journey. “I was surprised what they were willing to pay and I’m not sure that money will be there in the future, I think it will be a diminished market. But he said pay for UK broadcasters is small compared to the “staggering” American market. “I could stand alongside an American anchor and know that they were probably earning 50 times what I was doing exactly the same job and probably for shorter than I was. Thompson has won 16 major TV journalism prizes since 1992 including Baftas, RTS and Emmy Awards. Asked what advice he would give to a broadcast journalist, he says: “Level with your viewer. I grew up in an era where people almost wore dinner jackets on the BBC to present the news. Sky made it user friendly. “Talk to viewers like equals, not patronising, not talking down to them, but telling to them straight. If something goes wrong, say so. 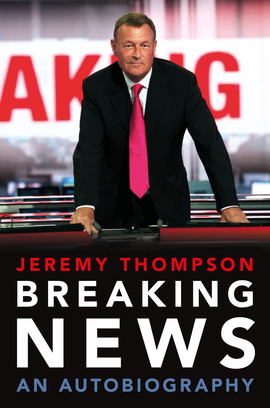 Jeremy Thompson’s Breaking News: An Autobiography, is published by Biteback Publishing in hardback priced £20. Listen to this interview in full as a podcast.